You can use your Potato Pot to cook tasty vegetables, potatoes and chestnuts on a low heat, and all fat-free! Before starting, prepare your ingredients: wash them carefully and peel if necessary. You can put up to 2kg (4.4 lbs) of vegetables inside the pot. You do not need to pre-heat your Potato Pot. Fill it with vegetables, making a pyramid shape, add a little aromatic garnish, such as thyme, rosemary or garlic, and always start on a very low heat for the first 5 minutes, so that the temperature rises gradually. On the stove, turn the pot over every 15 minutes to ensure the heat spreads evenly through the ingredients. The glaze on the pot will darken as it heats up, but once the temperature falls, it will go back to its original colour. You can also use your Potato Pot in the oven, at 200°C / 400°F / Gas Mark 6, using the same cooking times. You will get the same results, and you don’t need to turn it over every 15 minutes. 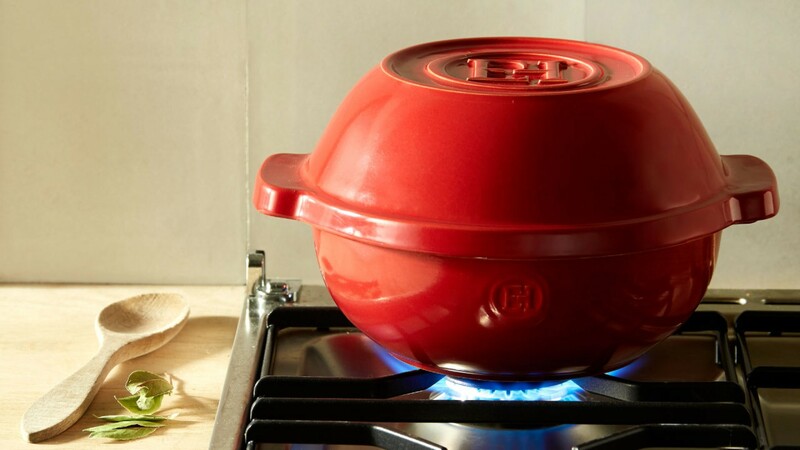 The spherical shape of the pot has been designed to spread the heat gently and evenly through the vegetables. The handles ensure a perfect grip and handling when turning the pot over during cooking. The ridges on the bottom stop the vegetables from too much contact with the base of the pot during cooking, and ensure they don’t dry out. Before using it for the first time, remove all the labels from the product, if necessary using a mild detergent, then clean carefully. 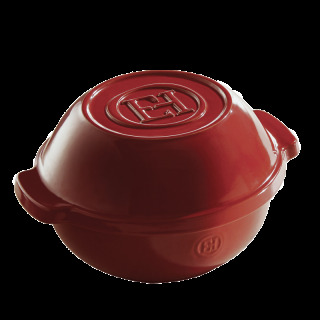 Your Potato Pot can be used on all types of stove, with an induction disk for induction hobs. You can also use it in the oven, with identical results. Always use a low heat for the first 5 minutes so that the temperature builds up gradually. Do not heat the base of the pot without any ingredients in it. Cook on the burner the most appropriate for the size of the Potato Pot (usually the largest). 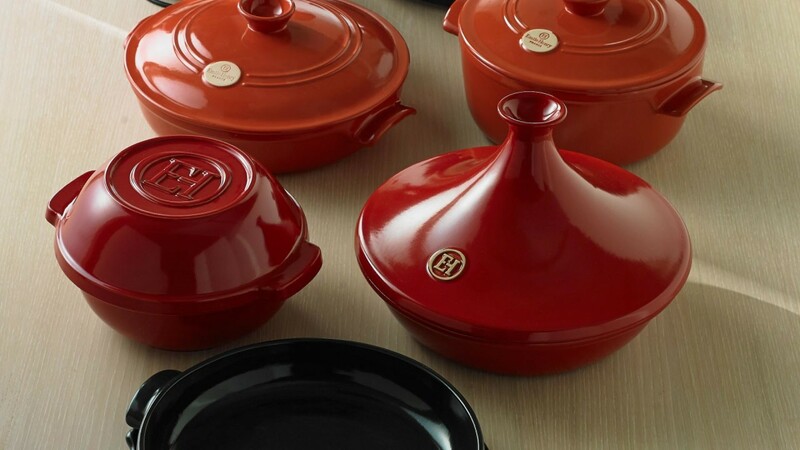 Thanks to its highly resistant glaze, you can use metal utensils when cooking, without scratching the surface. When the pot is hot, do not place it in contact with anything cold, such as cold water or a cold surface. When you take it out of the oven, place it on a neutral surface, such as a wooden board or cloth. Our guarantee covers all product manufacturing or quality defects, when used under normal domestic conditions, and in accordance with the care and use instructions. It does not cover thermal or mechanical shocks (if dropped or knocked).